Some advertisers use optical illusions to draw attention to and promote their products. This billboard photographed in Germany is completely flat but appears to have both inclining and extruding sections that form a basic smiling face. 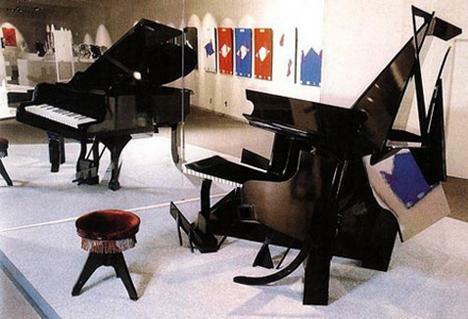 Perhaps the best place to start in our trip through the world of illusions is one of the most well known of all and one that you are likely to have seen before many times. 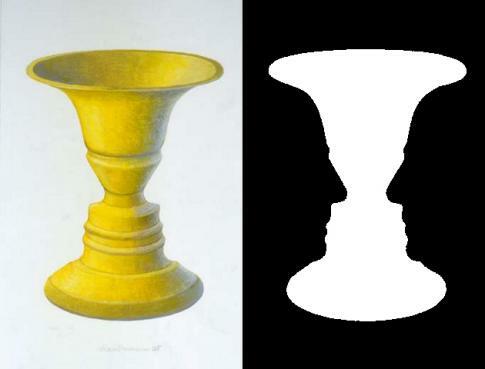 Known as "Rubin's Vase" this simple illusion devised by Danish psychologist Edgar Rubin can be perceived as both a vase or as the profiles of two human faces gazing at one another. This is often considered to be one of the best examples of an optical illusion.